Skin care products can be a major source of toxins for many people. Most are packed with chemicals and artificial ingredients that might have a temporary positive effect on the skin, but will have negative long term effects. These artificial ingredients can also be absorbed into the skin and build up in the body. 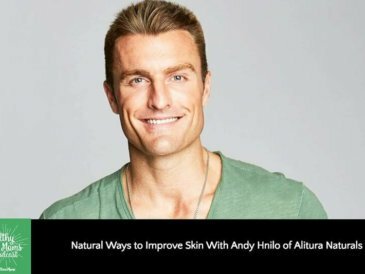 The good news is that there are natural, simple and inexpensive options that actually work better than most commercial products, and without all the harmful ingredients. 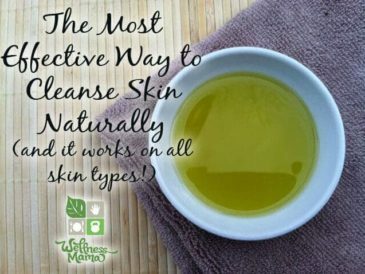 In general, the natural oil cleansing method is a great solution for any skin type, though the combinations of oils varies based on skin type (see below). You can make your own oil cleansing blend, but I highly recommend this handmade blend that smells divine and works really well for oil cleansing. Switching to gentle and natural skin care options often goes a long way toward removing excess oil production, but in the meantime, there are some natural ingredients that can help prevent breakouts and remove excess oil. To Exfoliate: A mix of equal parts sea salt and oil (like olive or almond) creates a natural scrub that will help remove impurities without stripping excess oils. To Cleanse: Oil Cleansing is my go-to cleansing method for any skin type. Generally, those with oily skin will need a higher amount of castor oil in relation to the other oils to keep skin from becoming too oily during transition. In general, a half and half mix of castor oil and olive oil or even a 2/3 castor oil 1/3 olive oil mix seems to work best. 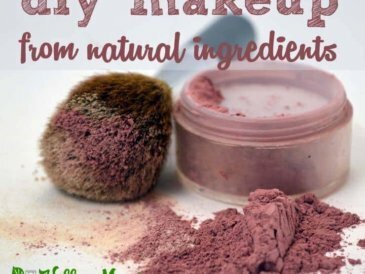 Natural Make-up options can also help tone down excess oil. Those with skin that is not typically oily or dry and that responds well to different types of products and makeup usually adjust very quickly to natural skin care options. Those with this type of skin also usually can use a variety of different options and still have good results. To Exfoliate: A homemade sugar scrub is a wonderful natural exfoliator. Here are some of my favorite recipes. To Cleanse: Oil Cleansing is a wonderful option for every skin type, but is very balancing for normal/combination skin. 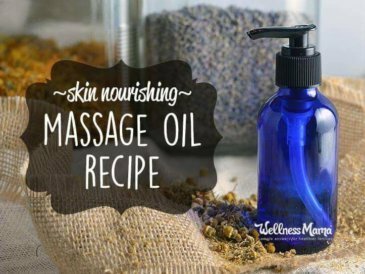 Usually a mix of about 1/4 castor oil and 3/4 of another oil (olive, almond, etc) works great, but this can be adjusted to suit individual skin. Here is the full tutorial on oil cleansing. To Moisturize: Those with normal skin tend to do well with most moisturizing options and often don’t need anything additional as a moisturizer. When needed, my favorite options are natural lotion bars or a tiny bit of homemade lotion. Even a dab of coconut oil or shea butter alone often works great for this skin type. Natural Make-up options usually work wonderfully on this type skin as well. Those with dry or aging skin often benefit immediately from natural skin care options. Often, using natural oils on the skin helps the skin to balance oil production and stop being dry to begin with. To Exfoliate: Often, exfoliating is not needed for this skin type, but a gentle homemade sugar scrub can be a way to add natural oils and gently remove dead skin. Here are some of favorite recipes. To Cleanse: castor oil is the more drying oil in oil cleansing, usually only a tiny amount is needed (about a teaspoon of castor oil in 1/4 cup of another oil like olive or almond). 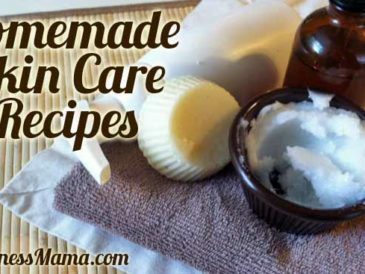 To Moisturize: Homemade lotion bars, super-moisturizing homemade lotion, and whipped body butter are all excellent moisturizing options for dry skin types. Plain organic shea butter can also be a simple and effective option. 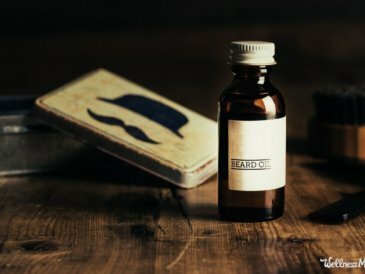 There are a ton of anti-aging products available but the best options are the ones you take internally. All of the collagen products that are supposed to firm up skin don’t take into account that collagen must be produced internally and is too large to absorb through the skin. To promote natural collagen production, I’d suggest using coconut oil as a moisturizer and taking Gelatin, Fermented Cod Liver Oil/Butter Blend and Vitamin C to support natural Collagen production internally. Fermented Cod Liver Oil– for the Vitamins A, D and K, Omega-3s and Antioxidants, all which are great for the skin. Gelatin – Which is a pre-cursor for collagen and has made my hair, skin and nails noticeably stronger and smoother (great for cellulite too). Magnesium– An anti-inflammatory and lacking in many people’s diets. Topical Magnesium Oil seems to be the most effective for skin health. How do you take care of your skin? What natural solutions have worked best for you? Share below!